Steep and strenuous, the South Kaibab Trail is the South Rim’s most direct route to the bottom of Grand Canyon. While most Inner Canyon trails follow side canyons, the South Kaibab Trail follows open ridgelines, providing spectacular views in all directions, which is great for day hikers. If you’re day hiking, consider the 1.5-mile hike to Ooh-Aah Point (2–4 hours, round-trip). The South Kaibab Trail ends at the Kaibab Suspension Bridge, which heads to Bright Angel Campground and Phantom Ranch. If you’re planning an overnight backpack to Bright Angel Campground or Phantom Ranch, consider hiking down the South Kaibab Trail and returning via the Bright Angel Trail, which is longer but slightly more gradual. Note: There’s no water available on the South Kaibab Trail. Trailhead The trail starts near Yaki Point, but private vehicles are not allowed at the trailhead. Free shuttles head to the South Kaibab Trailhead throughout the day from Canyon View Information Plaza. In the early morning, another shuttle departs from Bright Angel Lodge and the Backcountry Information Center. 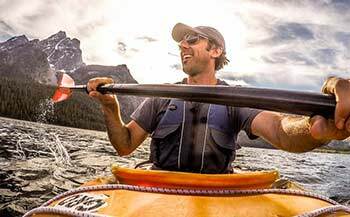 Check The Guide for seasonal schedules. Looking for a full-color topographic South Kaibab Trail hiking map? 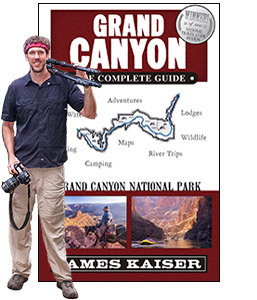 There’s one in Grand Canyon: The Complete Guide! 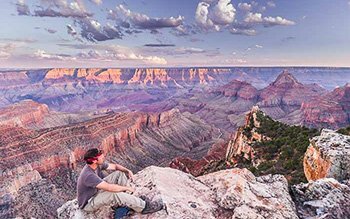 Learn more about Grand Canyon’s South Kaibab Trail!